“The lightweight feeling and controllability from corner approach to ‘on the power’ corner exit is far better than previous models”, our Test Rider announced. 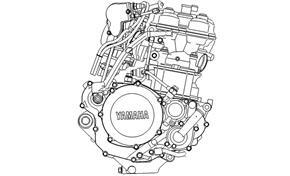 “The riding position is much improved as is the clutch feeling, throttle response and engine character. 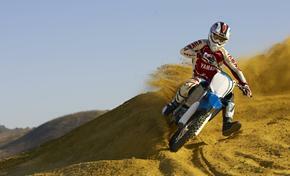 It’s possible to lap consistently faster”. 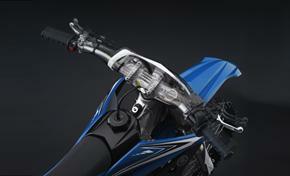 The new YZ250F is Yamaha’s latest offering at conquering the 250cc motocross market and race class. 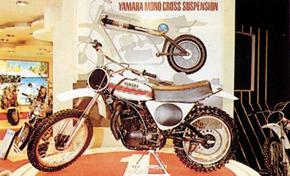 Yamaha have a long history in World Motocross Championships winning their first championship on a YZ250 using a revolutionary monocross rear suspension back in 1973. 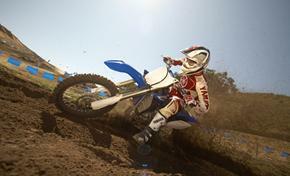 Since 1973 Yamaha have continually evolved and updated the YZ series expanding to numerous models that race in different classes each gaining success on championship. 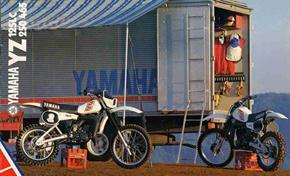 Yamaha also took a leading role in the market by launching new technologies such as the liquid cooled 2-stroke engines in 1981, the link type monocross suspensions in 1982, and the sensational introduction of the first modern 4-stroke 250 from a mass manufacturer in 2001 with the YZ250F. 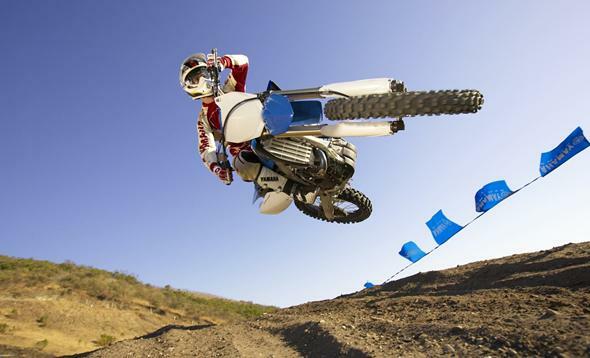 Most recently the YZ250F has achieved great successes, winning the MX2 world championship with Antonio Cairoli in 2005 and 2007. 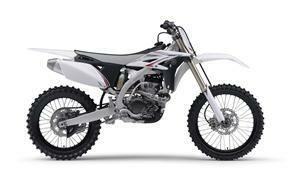 The latest evolution of the YZ model line is the YZ250F, a four stroke, single cylinder, double over head cam, 5 valve, aluminum chassis, up-side-down fork advanced and refined race machine. The development goal was to improve lap times through better cornering capabilities, for this reason the new YZ250F has a new chassis and revised geometry. The target has always been to enter the corner faster, turrn quicker and easier and accelerate more efficiently. This target has been key along with the usual refinements you would expect with any model update. 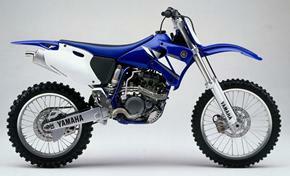 Whilst the new YZ250F makes use of the existing engine many components are modified. The ‘rolling chassis’ is a whole new development with a complex and new frame which has reached a new level of handling and ability further exploiting the engines power and characteristics. The engine its self has been tweaked to maintain the reliability whilst providing a more capable power delivery. 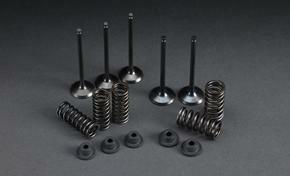 The intake and exhaust systems have been updated to provide an optimum flow of fuel/air into the cylinder and exhaust. 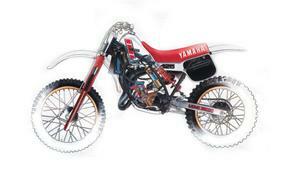 Ignition is advanced, carburetor settings are altered and gear ratio’s revised to maximize these improvements. The valve assembly’s are now lighter and the power loss through the internal drive train has been reduced. The overall benefit of this is better low-mid rpm power and drivability. 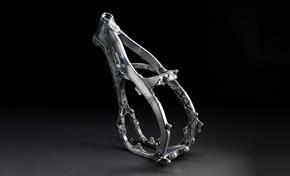 The frame is a new and unique construction comprising of about 20 different parts all welded together. The caster angle, trail and wheelbase have all been tweaked resulting in a more compact package that has increased lateral and torsional rigidity. This provides a better handling motorcycle that is more able to transmit the engine power directly, whilst in cooperation with the suspension it can absorb the bumps more efficiently and gives better feeling of control to the rider. 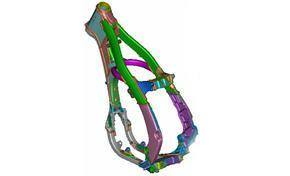 Both front and rear suspension components are improved. The front forks increase in diameter and have upgraded internals to better perform during slow speed cornering whilst the shock absorber is altered to fit around the altered induction layout. The tank has been moved closer to the rider to improve mass centralization. The seat has been improved to give a better ‘feeling’ to the rider and the radiators have increased in size to better disperse the heat. The result of these alterations allows a new design of bodywork to wrap around the motorcycle and express the slim and dynamic next generation YZ250F. 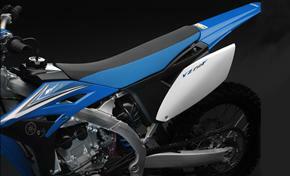 Available in both White and Blue coloring the new YZ250F promises to deliver an improved riding sensation, better performance and better results!